A GARDA HAS gone on trial accused of carrying out a campaign of harassment against the ex-wife of her partner. Eve Doherty denies harassing Elizabeth Howlin, who worked in the office of the Director of Public Prosecutions (DPP) at the time, over an 18 month period. 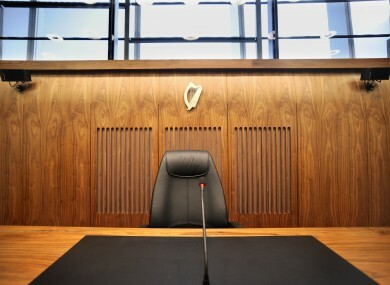 This morning, a jury was sworn in at Dublin Circuit Criminal Court for the trial which is scheduled to last three weeks. Doherty (49), a Dublin based garda, has pleaded not guilty to harassment of Howlin at locations in the State on dates between 21 September 2011 and 16 March 2013. Opening the case, prosecutor Kerida Naidoo SC told the jury that it is alleged that Doherty carried out a campaign of harassment against Howlin. The campaign allegedly included sending insulting and abusive communications to Howlin’s mobile phone, sending an abusive letter to her place of work and distributing abusive leaflets. Naidoo said that the material included allegations that Howlin prevented a neighbour from being prosecuted for a drugs-related offence. As a result of this material, Doherty is also charged with two counts of knowingly making a false statement claiming Howlin attempted to pervert the course of justice. It is alleged that on 1 March 2012 at Carysfort Estate, Blackrock, she made this false statement in a leaflet and that on 31 March 2012 she made this false statement in an email. She has also pleaded not guilty to these charges. Naidoo said that at the time, the defendant was in a relationship with the ex-husband of Howlin. He said that the alleged harassment was carried out anonymously. He said that the charge of harassment must involve someone, without lawful authority or reasonable excuse, persistently following, watching, pestering, besetting or communicating with another. He said these actions must be shown to seriously interfere with the other’s peace and privacy or causes alarm, distress or harm to the other. Naidoo told the jury it must decide if what happened was harassment. He said it must then decide if the actions were done by the accused and he said this was the big issue in this case. He added that the accused is entitled to the presumption of innocence and that just because somebody is charged with a crime it doesn’t mean they are guilty. He said that in some cases motive was important but in other cases the motive of a person could be irrational. He said that in such cases looking for a logical motive might be like searching in the dark. Email “Garda on trial for allegedly harassing her partner's ex wife”. Feedback on “Garda on trial for allegedly harassing her partner's ex wife”.